Mr. Madigan welcomes all students. Learn more about the PBSIS initiative being implemented at Intermediate East. Applications for this free camp are available in the main office. The camp is for current 6th through 8th grade Toms River students. The camp is from July 15-19 from 8:30 am to 3:00 pm. Campers must supply their only gym clothes/sneakers and lunch for the week. More information is on the application itself or you can email Officer Slaven at pslaven@trpolice.org . 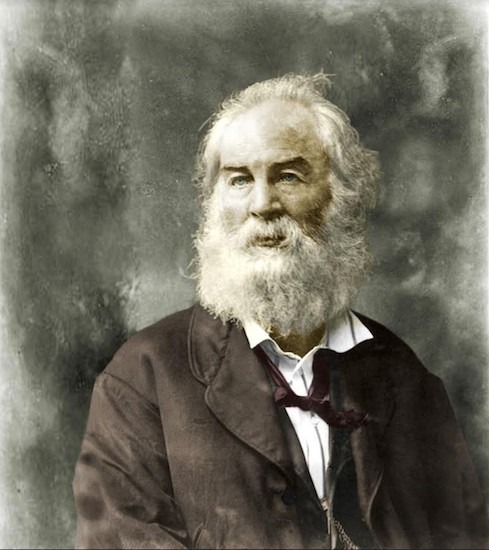 Do you like to write poetry? Consider entering one into the Poetry Slam! Poem submissions are due to Mrs. Rutzler in B207 by April 12th for review. Please limit entries to 5 per person. You will be notified by May 1st if your poem has been selected for the Poetry Slam. Anyone can enter. Please see Mrs. Rutzler if you have any questions. 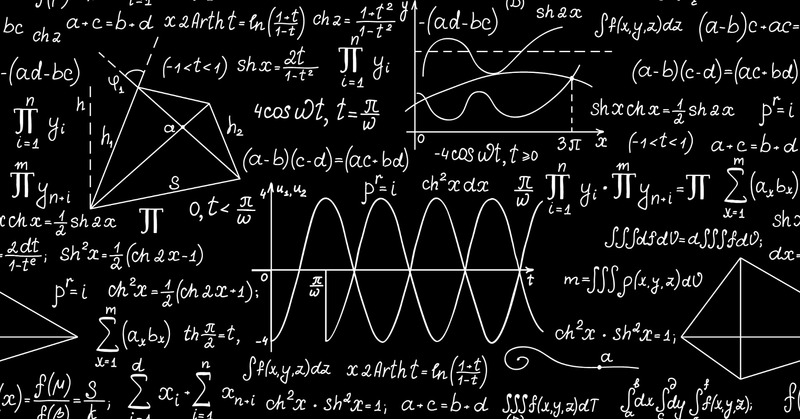 Math Team members meeting in B203 Tues., April 2nd until late buses! 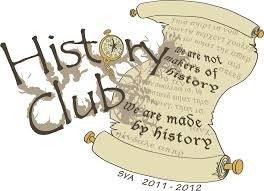 History Club will meet next Wed., Mar. 27th in B109 until late buses. Get ready to be amazed! Click on the link for more information. In the coming months schools across New Jersey will administer the New Jersey Student Learning Assessment (NJSLA) in English Language Arts (ELA), Mathematics, and Science. 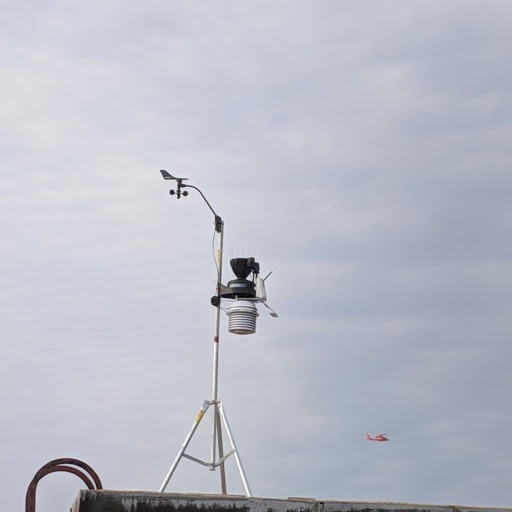 Click below for more information. Our annual Spring Book Fair will take place next week, March 4 - 8, in the Media Center. Students will have the opportunity to browse and purchase books with their Language Arts classes and during their lunch times providing the have a Media Center pass! Hope to see you there! 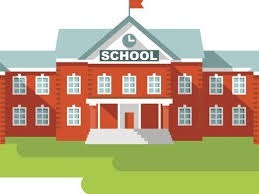 Tuesday, February 26th is a full day of school. 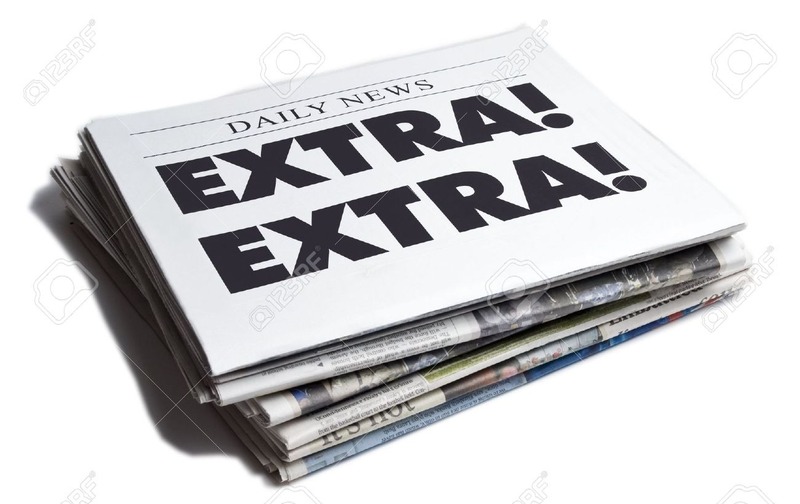 Newspaper Club will meet Tues, Feb. 26th until late buses in A201. 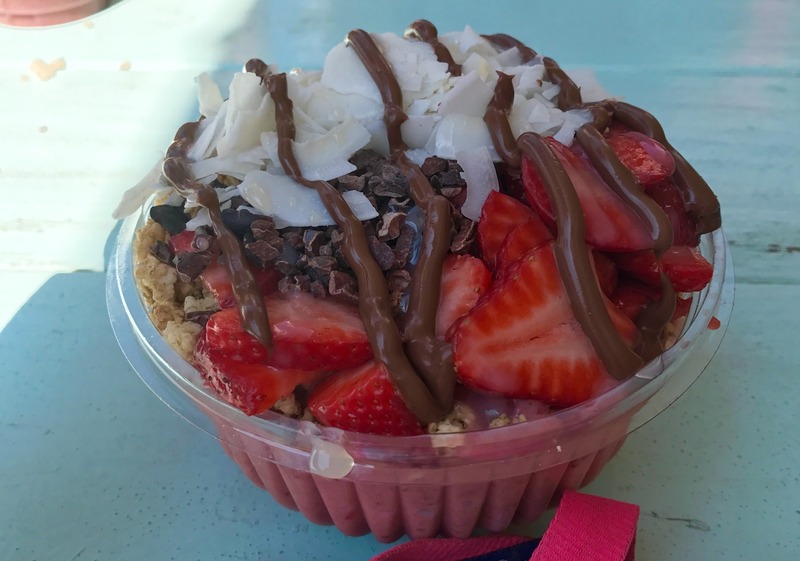 Come out to Playa Bowls (Rt. 37) and support the IE PTO on February 13th from 5:00 – 8:00 PM. 10% of all sales will be donated to the PTO!! Attention 8th Grade Parents & Guardians. There is less than two weeks to place your student recognition ad order. The final deadline is February 16th. Visit www.jostens.com for pricing and design information. There is still time to pre-order your 2018-2019 yearbook. The cost is $45. Visit www.jostens.com to secure your book today! There will be a school dance on Fri., Jan. 11th from 6-8 sponsored by the cast and crew of Little Shop of Horrors. Awesome music, snacks and other treats! Come out for a great night! The cost is $5. Tickets to be sold during lunches! 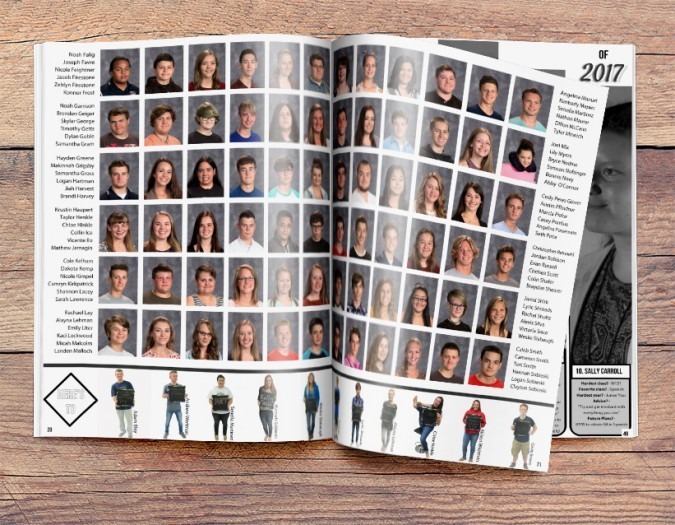 Attention 8th Grade Parents: YEARBOOK AD EXTENSION: Saturday, February 16th will be the FINAL day to place an ad order for the 2018-2019 yearbook. Visit www.jostens.com for pricing and design information or click the link below. 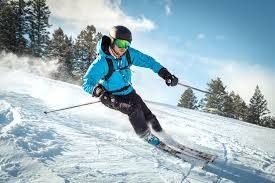 Anyone wanting to learn how to ski or snowboard may join. Come to the meeting to learn more about our trips Tues., Dec. 18th in the small cafeteria until late buses. 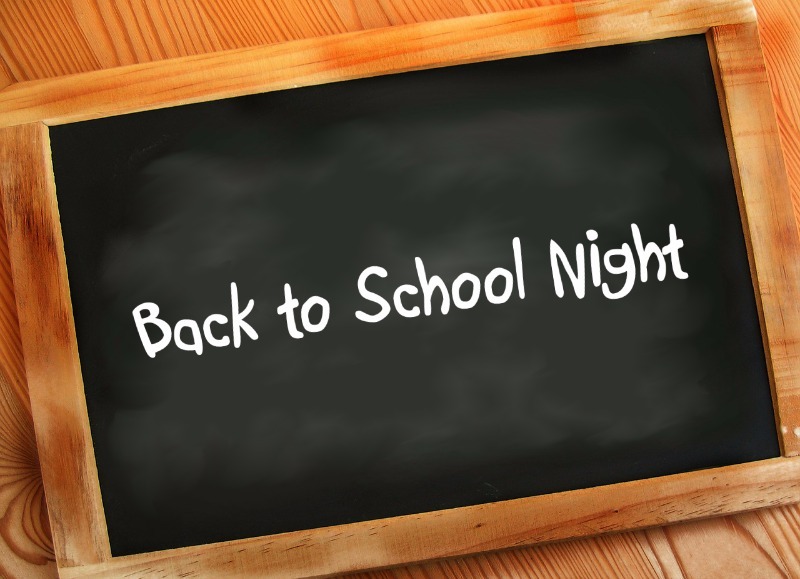 There will also be an optional parent meeting on the same night at 6:30 in the Media Center. 8th Grade Parents: The deadline to place a recognition ad for your graduate is Saturday, December 15th. Please visit www.jostens.com for pricing and design information. Full color yearbooks are still available for pre-order. The cost is $40. Visit www.jostens.com to place your order today! 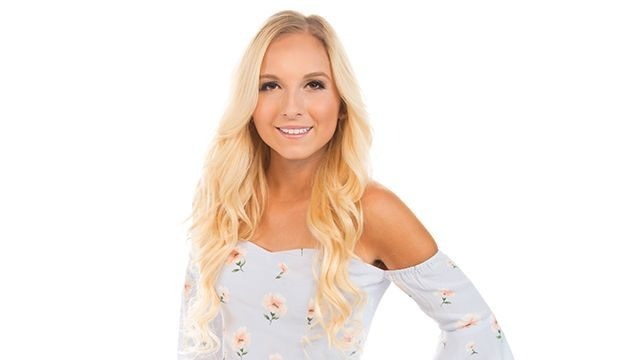 2018 Billboard Artist to Watch & Elvis Duran's TODAY Show Artist of the Month Jessie Chris will be returning to Toms River, NJ with her band on Friday, January 18, 2019 at 7PM. Tickets for this concert will be both General Admission as well as VIP Reserved Seats which come with Meet & Greet. Click on link below for more info. Pre-order your 2018-2019 yearbook today! The cost is $40. Visit www.jostens.com or click link below. 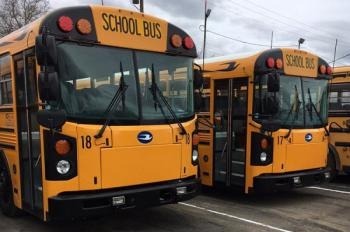 THERE ARE NO LATE BUSES ON TUES, WED., OR THURS. (Nov. 13, 14, 15)!!! Friday, October 26th, is the last day to purchase your yearbook for $35, the lowest price of the year! Visit www.jostens.com or click link below. Next week is Spirit Week! See the Rocket Blast for details. Our first school dance is Friday, October 12th from 6:00 – 8:00 pm. Students must have a ride home promptly at 8:00. Cost is $5.00. Students can have their hand stamped during lunches on Fri., Oct. 12th. Looking for a special and unique way to commemorate your child's time here at Intermediate East? Yearbook Ad sales are now available for purchase! Please visit the Jostens website for pricing and design information. Click below and select "Yearbooks" -->"Order Your Yearbook Ad" and search "Toms River Intermediate East". It's never too early to purchase a yearbook for your child. Full color yearbooks are back for the 2018-2019 school year! The cost is $35. Pre-order your yearbook today at the LOWEST price of the year. 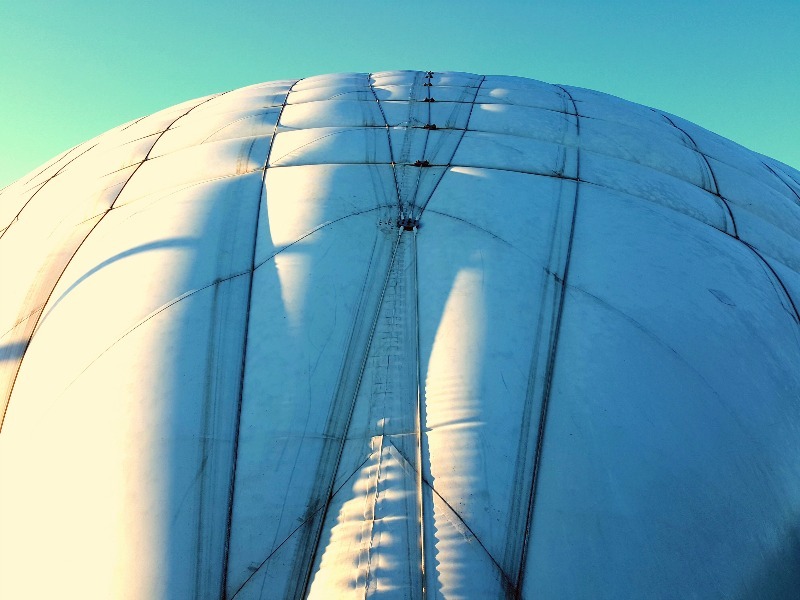 The price goes up after October 26. Click below and select "Yearbooks" -->"Buy Your Yearbook" and search "Toms River Intermediate East". On Wednesdays we wear pink! 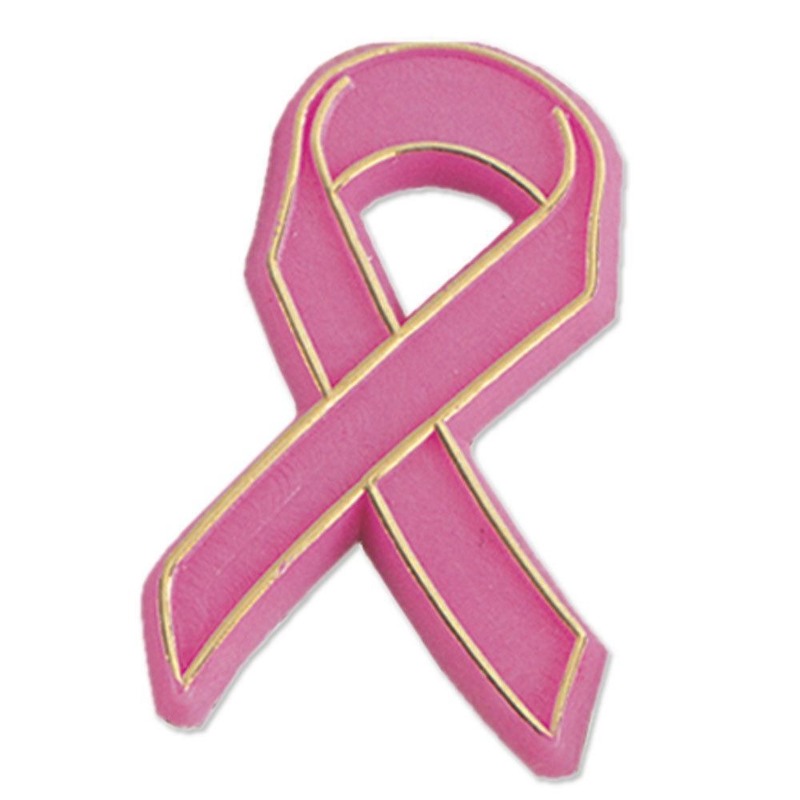 Show your support for Breast Cancer Awareness by wearing pink every Wednesday in October! Full color yearbooks are back for the 2018-2019 school year! The cost is $35. Pre-order your yearbook today at the LOWEST price of the year. The price goes up after October 26. The 8th Grade Dance will be held on Friday 6/15 from 6-8pm. 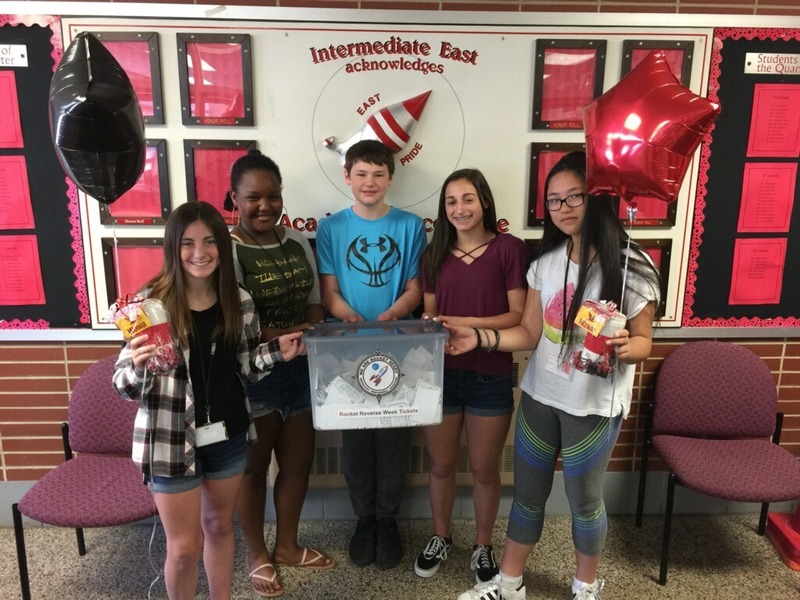 As part of our PBSIS initiative, "We Are Rocket Ready", our students were given an opportunity to recognize and celebrate teachers and staff members who had a positive influence on them throughout the course of the school year. Students gave staff members a ticket with a short phrase of why they had a positive and lasting effect on the students of Intermediate East. 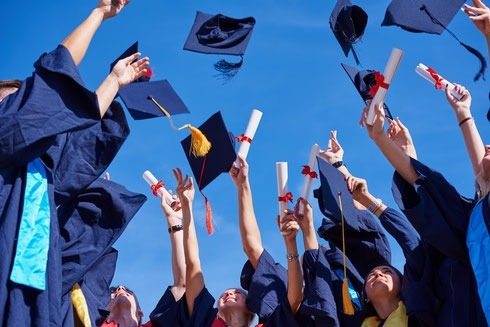 Click "Read More" for 8th Grade graduation information. 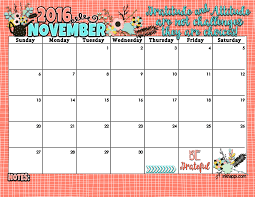 Click "Read More" to see the end of the year calendar. 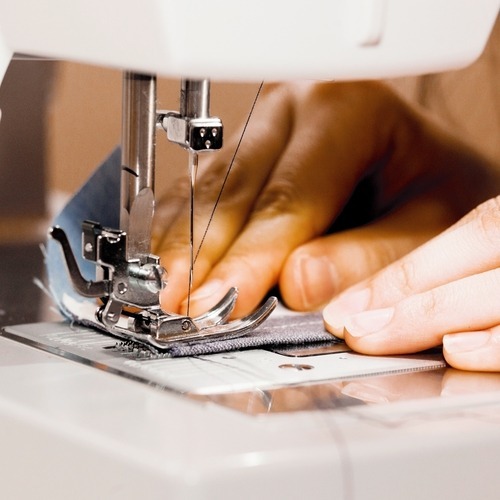 ANY 7th GRADER WHO TOOK SEWING THIS YEAR: If you are interested in having any sewing project featured in the art show on May 31st, please bring it to room B107 by Friday May 25th.You will get your project back after the show. Today, May 18th, is the last day to pre-rder your yearbook! The cost is $40. Click the link below to order. 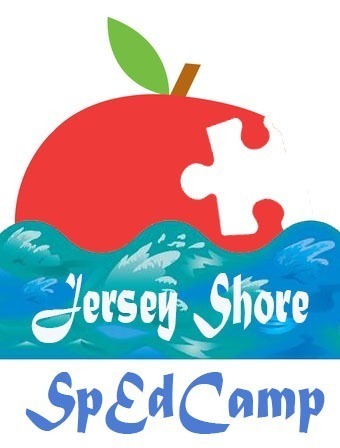 On Saturday, May 12, 2018, Toms River Regional Schools will host a unique teacher learning experience entitled Jersey Shore SpEdCamp. In following the EdCampNJ tradition, SpEdCamp 2018 will be unlike traditional conferences with paid speakers and a narrow set of subjects. At nearly every EdCamp “unconference” --and there are hundreds across the country --participants drive the conversations. The Poetry Slam will take place on Monday, June 11th at 6:30 PM in the Media Center. Please submit all poems by Monday, May 7 th . Spring pictures are rescheduled for Friday, April 27th . 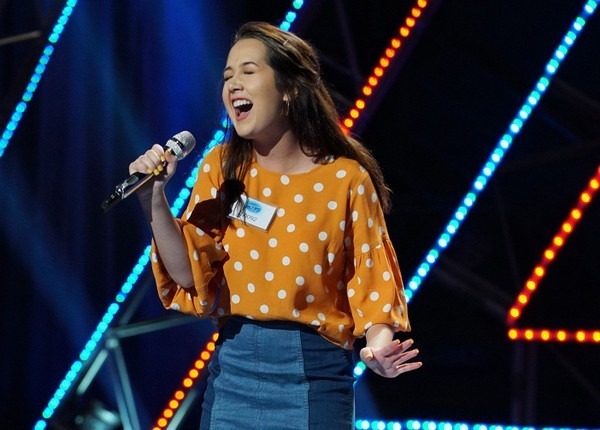 Country Singer Jessie Chris' manager, is holding a "Toms River Idol" audition for two opening acts for her concert on April 28th at the arena. Auditions will be here at Intermediate East on April 10th from 3 - 8pm. Click below to find the attached flyer. Anyone in middle and high school can try out. Please let your students know about this exciting opportunity. Yearbooks are still on sale -- the cost is $40. Click below to place your pre-order today! 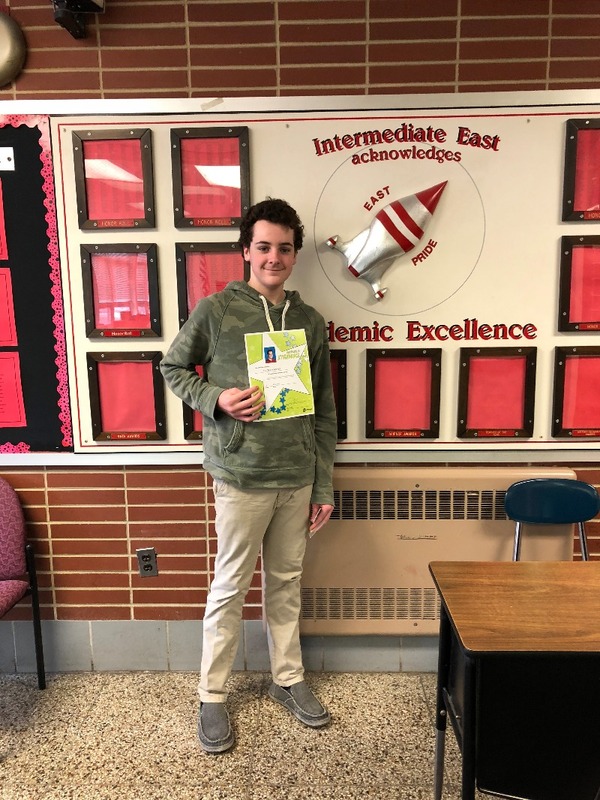 Congratulations to Matthew Hirtes our 100% Attendance winner for the month of February. 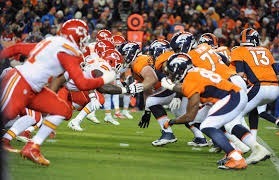 There is a Sports Theme dance tonight from 6-8pm. Tickets will be sold during lunches. Cost is $5.00. 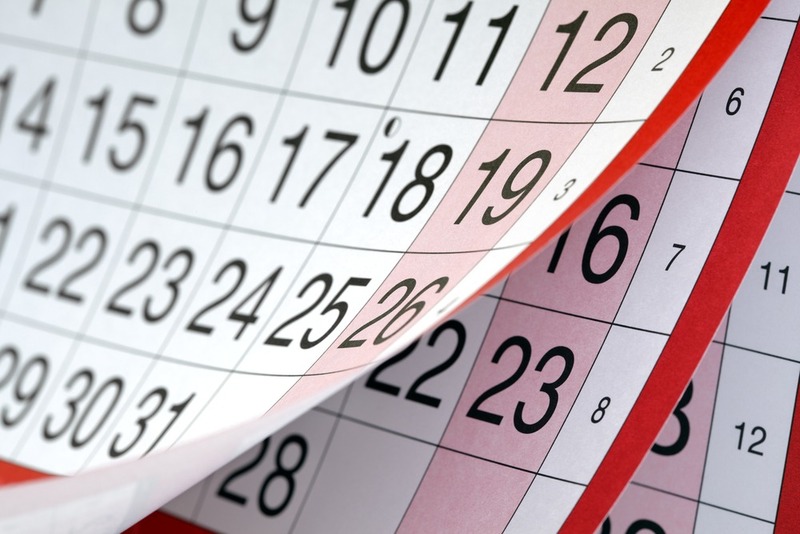 Click below for more information on the Annual Asbestos Notification. 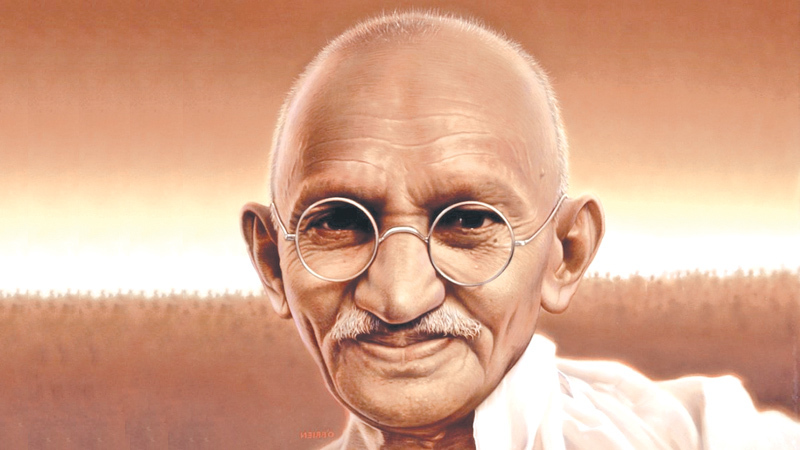 Click on the link below for information on the Mahatma Gandhi Peace & Harmony Essay and Art Contest. The Book Fair is next week, Mar. 5 – 9. Please check with your language arts teacher for the times you will be attending. 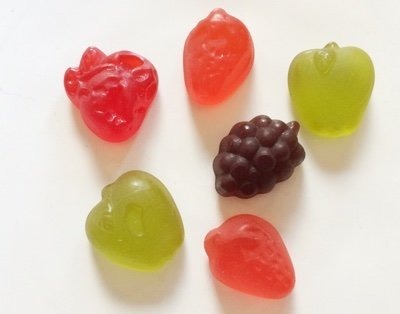 Student Council is having a PARCC fruit snack sale this week. Cost is $1.00. Please see a representative for more details. 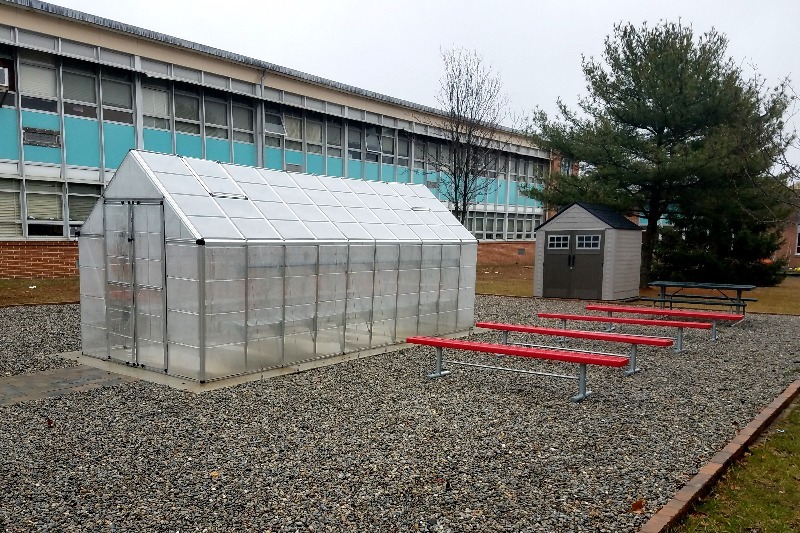 The construction of Toms River Intermediate East Outdoor Learning Center is well underway due to a generous $10,000 grant from the Jay and Linda Grunin Foundation (Principal’s Innovation Challenge Grant). This grant, along with a generous donation from our PTO, has enabled us to begin construction on an outdoor learning Center for our students. 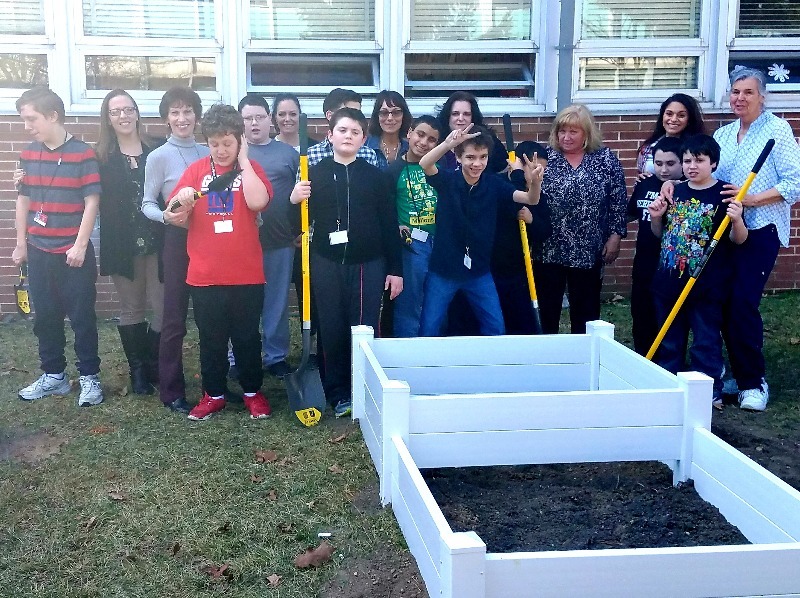 Students view one of several planter boxes that have been built with funds from a $2500 dollar "Pride Grant" that was awarded to Intermediate East by the Toms River Education Association. Shown along with Mrs. Richard's students is Ms. Nancy Jubert, TRIE's Educational Professional of the Year Recipient for the 17-18 SY. Ms. Jubert was instrumental in obtaining the grant for our school. Parents and community members will be participating in activities with our students. Healthy foods will be grown to be used in our school cafeteria and donated to a local food pantry. 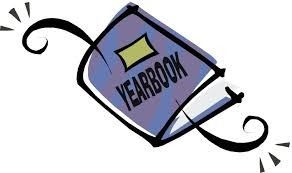 Attention all 6th, 7th & 8th grade students: Yearbook Buddy Pictures will be taken during lunch periods on Wednesday 2/28 (large cafe) and on Thursday 3/1 (small cafe). The cost per picture is $5 cash for up to 5 people. 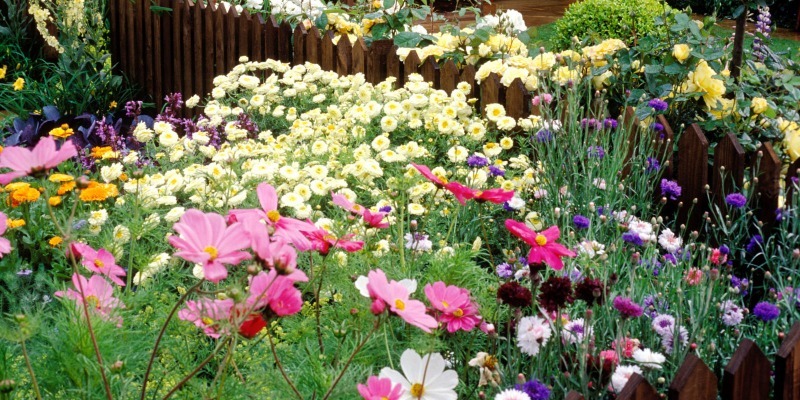 There will be a meeting for all those interested in joining the Gardening Club on February 27th in C107 until late buses. The Universal Team conducted the voting for our PBSIS tagline on Friday 2/2/2/18 during all 4 lunch periods. All students and staff were given the opportunity to vote on the tagline. The votes were tallied by the Universal Team and the tagline will be placed on the logo along with our overarching expectations of Responsible, Respectful and Accepting. The logo will be used to identify our program and our school. 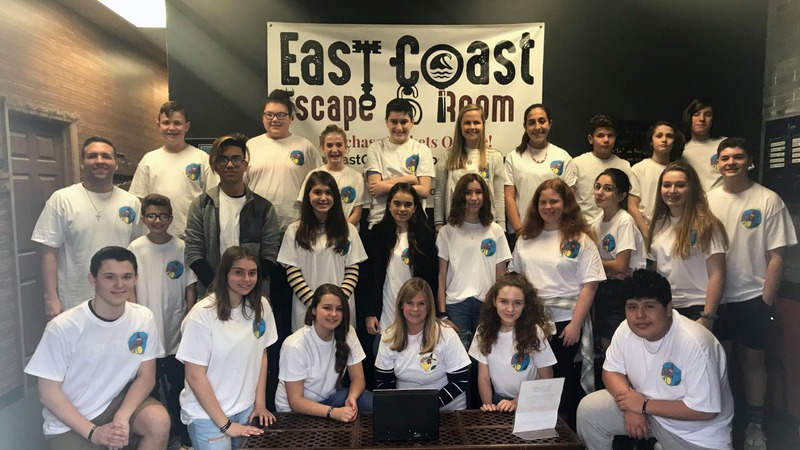 The PTO is having an East Coast Escape Room Fundraiser. Purchase a ticket for the month of March and Intermediate East PTO will receive 20% back for every ticket purchased. Pick up a flyer in the Main Office for more details!!! 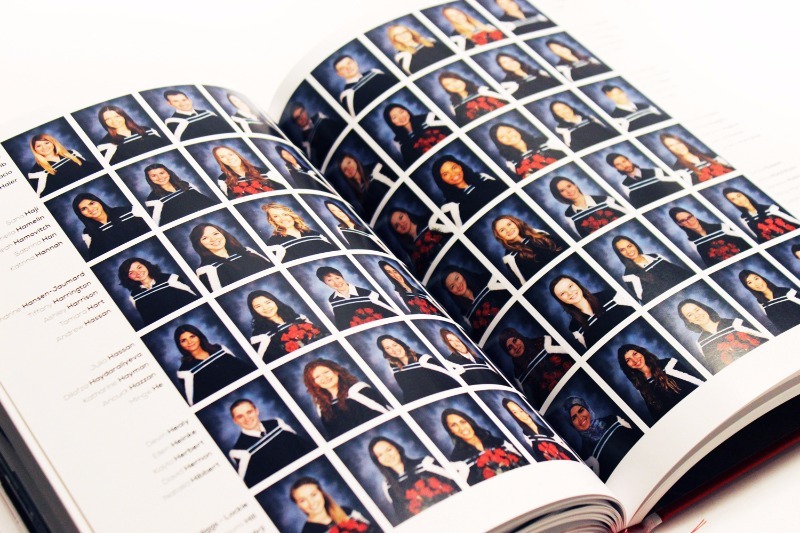 Today, FEBRUARY 16th is the last and final day to place a Yearbook Ad order. Please visit www.jostens.com for design and pricing information or click on the link below. Please join members of our Board of Education, Superintendent David Healy, Business Administrator Bill Doering, and other district and school staff, administration, and parent representatives for a COMMUNITY MEETING Tuesday, February 27th from 8:00 to 9:00 pm at Intermediate East Media Center. Attention 8th Grade Parents: Friday, February 16th is the final deadline to place an Ad order for the yearbook. Visit www.jostens.com or click below for design and pricing information. Final week to order a Yearbook for $38 is Friday, February 2nd. The price will then increase to $40 until the end of the year. Visit www.jostens.com to place your order today or click below. Congratulations to Teacher of the Year Megan Cummings and Educational Services Professional Nancy Jubert! 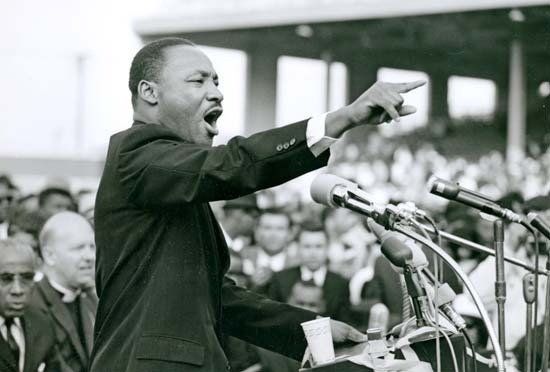 School is closed on Monday, January 15th for Martin Luther King Day. The Blue Mountain trip has been rescheduled for Sat., Jan. 27th. If you cannot make the new date, please see Mrs. Galler (A202) or Mrs. Morsch (A114). Yearbooks are still on sale from now until February 2nd for $38. The price will then increase to $40 until the end of the year. 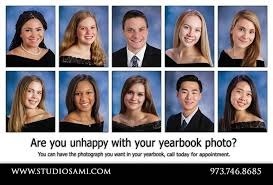 Order your yearbook today! 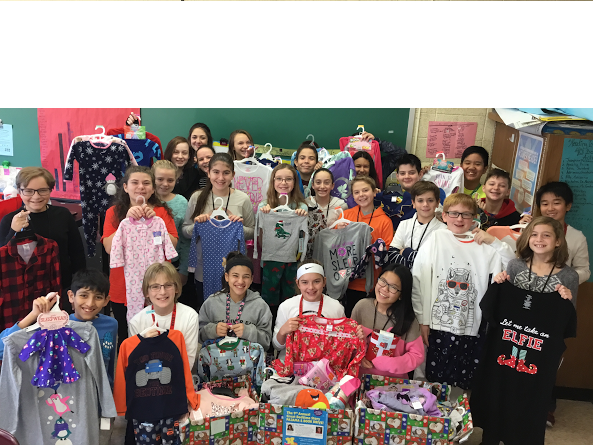 Mrs. Germano's classes spearheaded Intermediate East's Pajama Drive for the second year in a row and gathered 120 pairs of new pajamas for children staying in local shelters this holiday season. Each pair of pajamas will be partnered up with a brand new book, courtesy of Scholastic Book Club, and presented to at-risk children so they can snuggle up with a good book as they settle into a loving bedtime ritual. Attention 8th grade parents: February 16th is the final day to place a Yearbook Ad order. Please submit your ad orders prior to the deadline to guarantee a spot! 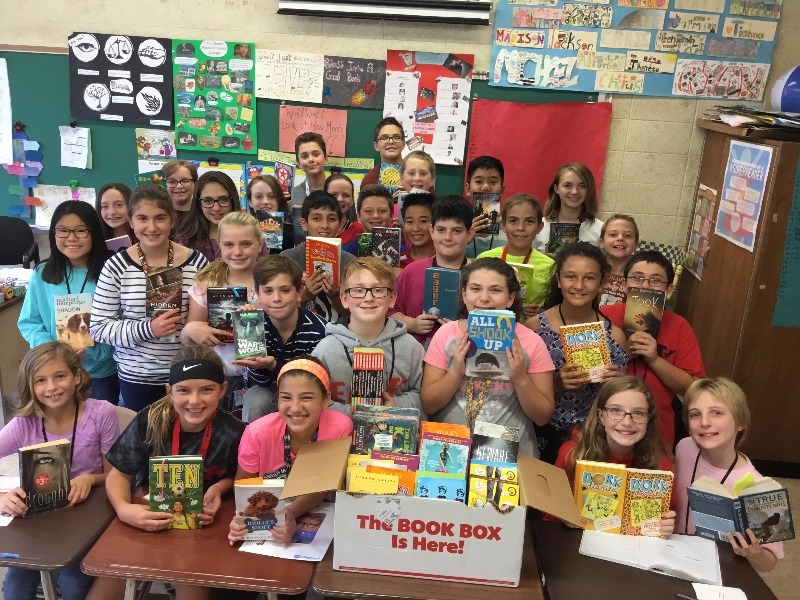 The recently awarded Reading Celebration Grant, awarded to Mrs. Germano, 6th Grade Language Arts teacher, will allow us to publicly praise our students' enthusiasm and love of thoughtful, reflective, and engaged reading, while our community is supporting and nurturing their beautiful passion. Her students read nearly 700 books in the first marking period and take great pride in that achievement. 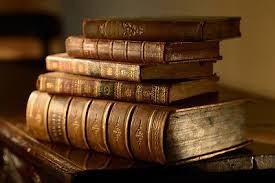 In the spring, students will select some of their favorite pieces of literature and tap into their creative juices to make it pop off the pages. They may write and perform a skit, poetry, prose, or opinion piece; perhaps they instead choose to compose music or develop a poster highlighting symbolic messages or themes...the options are endless and the best part is that they are being recognized for their love of learning. Students will share and support one another at this family and friends event, all because of the awesome Nancy Jubert, the PRIDE Committee, and our amazing TREA. Mrs. Morsch's cycle completed a unit on plantation farming and the importance of cotton on the southern economy in the 1800's. They took the seeds out of raw harvested cotton and planted them. They have been growing for about 6 weeks. They're are hoping to be able to harvest the cotton in about 4 months. 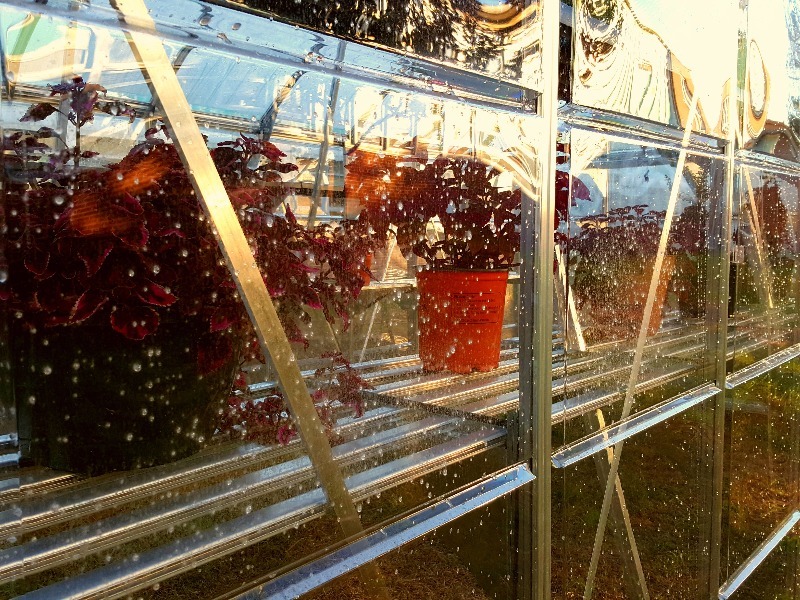 The students are enjoying the responsibility of the task of growing something from its beginning and are all looking forward to seeing what it becomes. The students have enjoyed having the opportunity to use the new outdoor learning environment. 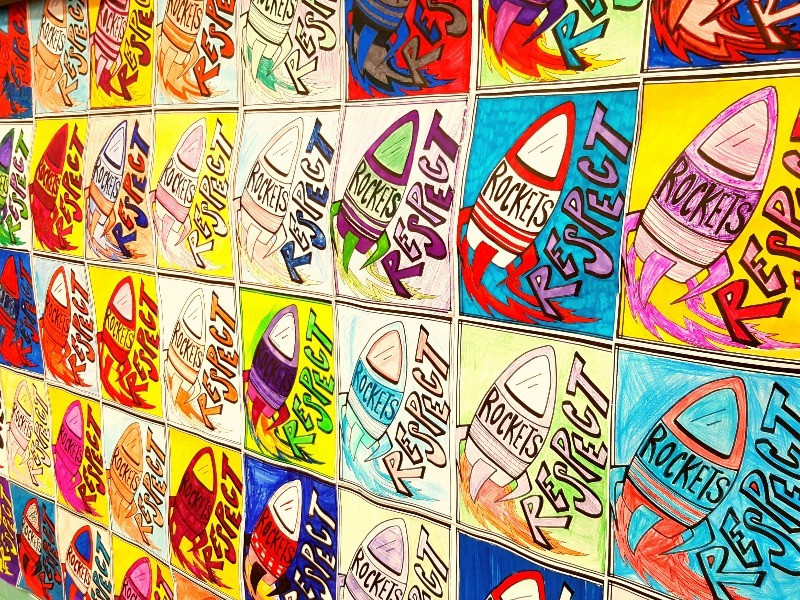 The 7th grade Science Department at Intermediate East recently completed a growth mindset learning experience with the students about Space Rockets and rockets through the eyes of Homer Hickam, author of “Rocket Boys”. When Homer was in high school, he was inspired by a wonderful teacher who influenced his life, made an impact, and taught him to never give up on his dreams. The students have been motivated by current and past teachers and have written letters of appreciation to let them know how grateful they are to have had them in their lives. 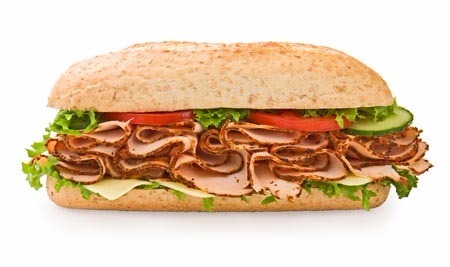 On Thurs., Dec. 14th from 11am – 9 pm the PTO will be having a fundraiser at Jersey Mike’s Subs, Hooper Commons, 1362 Hooper Ave. Come and support TRIE PTO. 20% of the proceeds go to the PTO!! Attention 8th grade parents: The yearbook AD deadline is December 15th. Visit www.jostens.com for pricing information and designs. Click below. It's Pajama Drive Time! 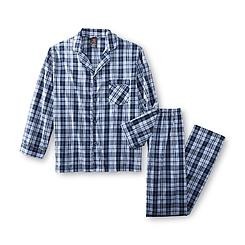 To help children living in our local shelters, we are collecting new pajamas (in any size.) For each pair of pajamas, Scholastic Book Club will match it with a new book so each child, no matter where they are sleeping, can go to bed cozy with a new book to read. Please drop off by Friday, December 8th to Mrs. Germano's Room G107. 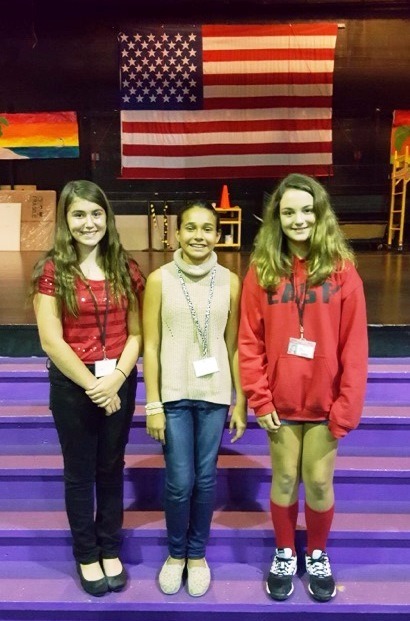 Lilian, Saige, and Eiley and the rest of their cycle each participated in the Veterans' Day essay contest. 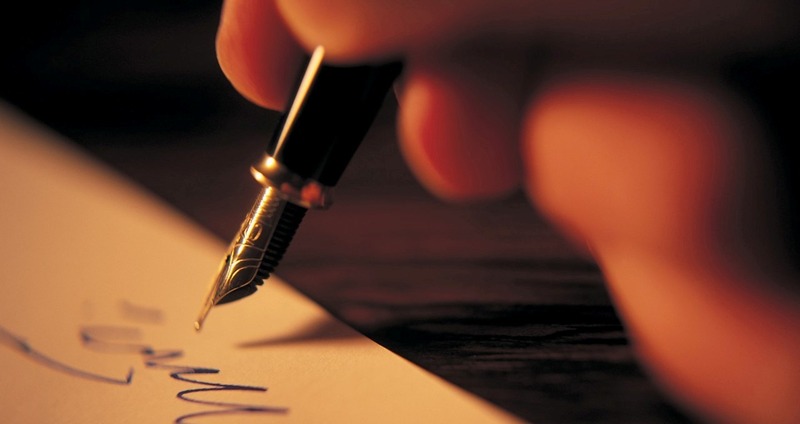 The essays that the students submitted for the contest highlighted their writing skills and exhibited patriotic pride. 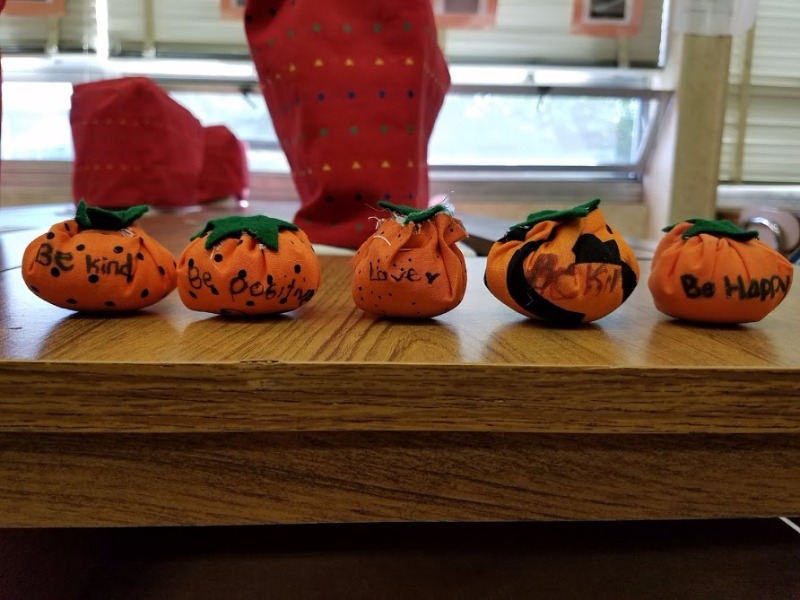 Mrs. Neuhoff's sewing classes are making "Kindness Pumpkins" in class. The pumpkins are made of fabric and will feature uplifting messages. The students will be giving out their pumpkins to friends, teachers, and school staff to help brighten someone's day. One message at the right moment can change someone's life! Attention 8th graders: It’s time to order your graduation gowns!! Parents order gowns between October 15th and February 15, 2018! Click in link below. Click on the link below to order your yearbook now! 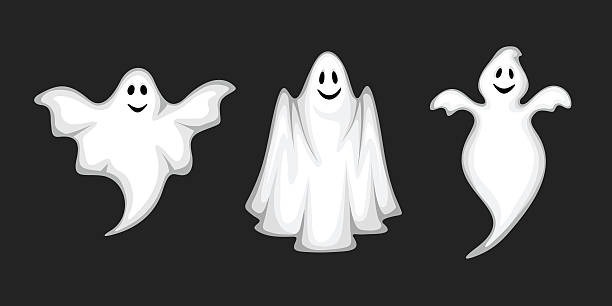 This Friday, October 13th there is a school dance from 6:00 – 8:00. 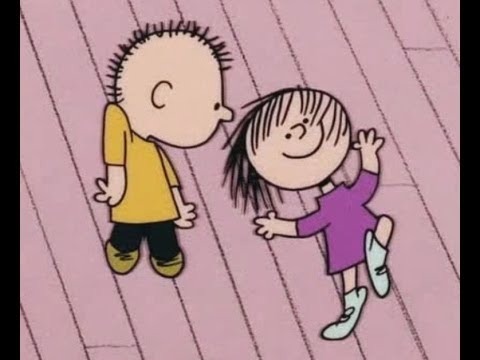 The theme of the dance is “School Spirit – red and white”. Students can have their hand stamped during lunches on Friday. The cost is $5.00. Looking for a special and unique way to commemorate your child's time here at Intermediate East? Yearbook Ad sales are now available for purchase! Please visit the Jostens website for pricing and design information. Click on "Read More", select "Yearbooks" -->"Order Your Yearbook Ad" and search "Toms River Intermediate East". It's never too early to purchase a yearbook for your child. Full color yearbooks are back for the 2017-2018 school year! The cost is $30 with free icons for a limited time. Pre-order your yearbook today at the LOWEST price of the year. The price goes up after October 16th. Click "Read More", select "Yearbooks" -->"Buy Your Yearbook" and search "Toms River Intermediate East". 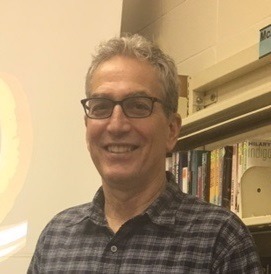 On Friday, May 19, Mrs. Michelle Minelli's sixth grade classes at Intermediate East hosted conservation biologist and young adult author Dr. Eric Dinerstein. After learning about his work to save endangered animals in Africa, the students had the opportunity to ask Dr. Dinerstein questions about the inspiration for his novel What Elephants Know, which the students read as a whole group text during the weeks prior to the book talk. Dr. Dinerstein is a Toms River HS graduate and a member of the Toms River Academic Hall of Fame! Mrs. Neuhoff's sewing classes participated in "Operation Gratitude", a thank you for all of the individuals serving our country. Each student made a "cool-tie" to help the troops beat the heat in hot climates, along with a thank you note. Once wet, the cool ties are able to stay cool for several hours. Over 100 cool ties will be shipped out to OG who will then include the ties in care packages sent to active duty members. Field of Dreams Walk-a-Thon - Friday, June 9th. 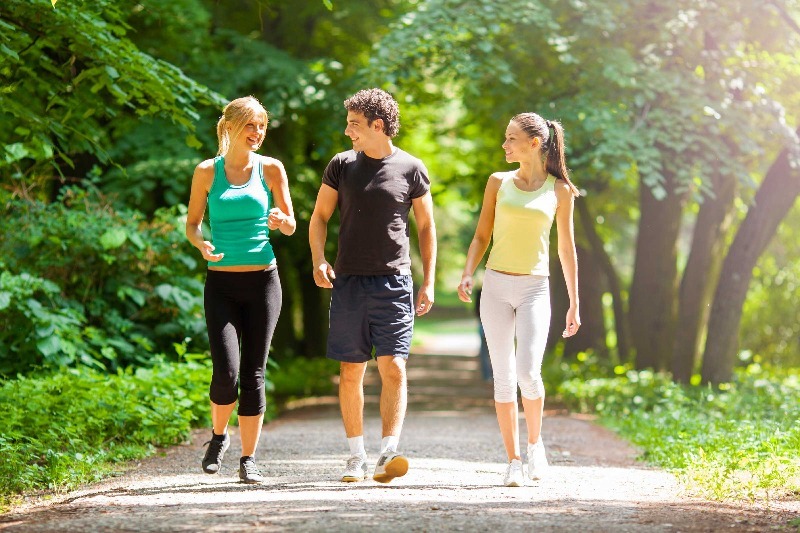 All students can participate during their PE and health classes. Join Intermediate East in raising money and awareness for this community project. The Summer Reading Lists are now available. Click for more info. This Monday, May 15th is the last day to pre-order a yearbook. 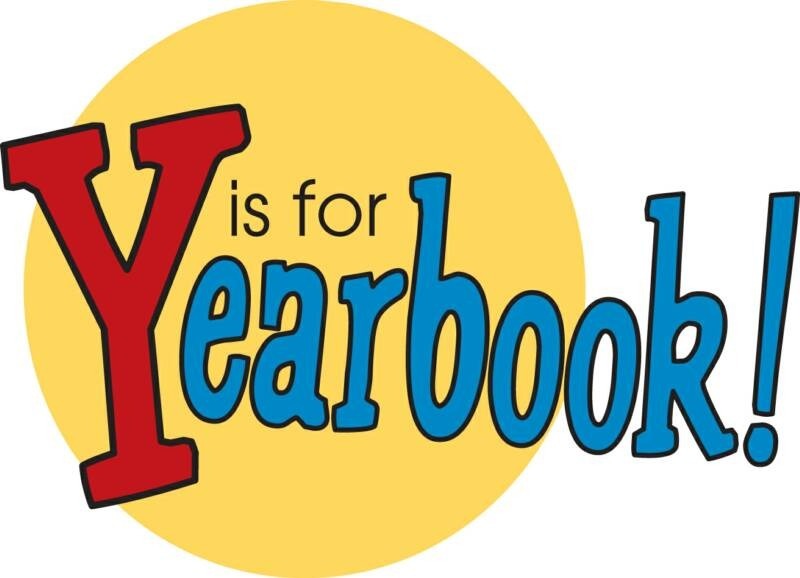 After this date, yearbooks may be purchased for $40 cash at the end of the year. 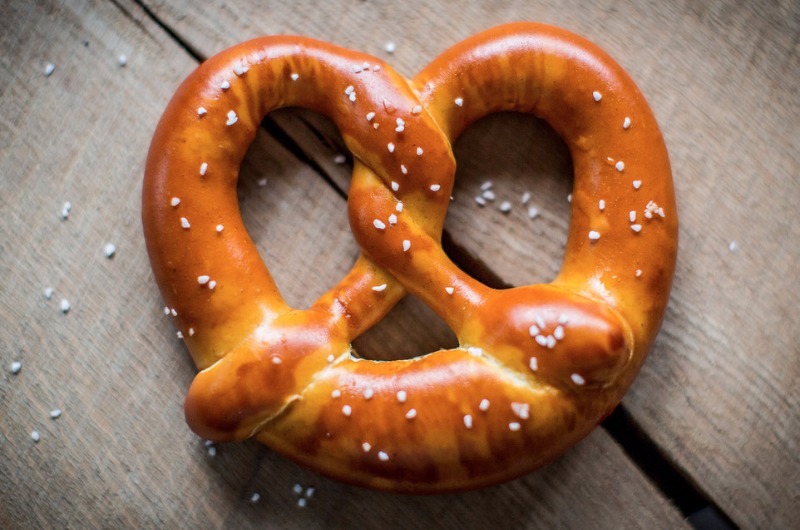 Interact is having a pretzel sale during lunches on May 19th. The profits will support The Field of Dreams. 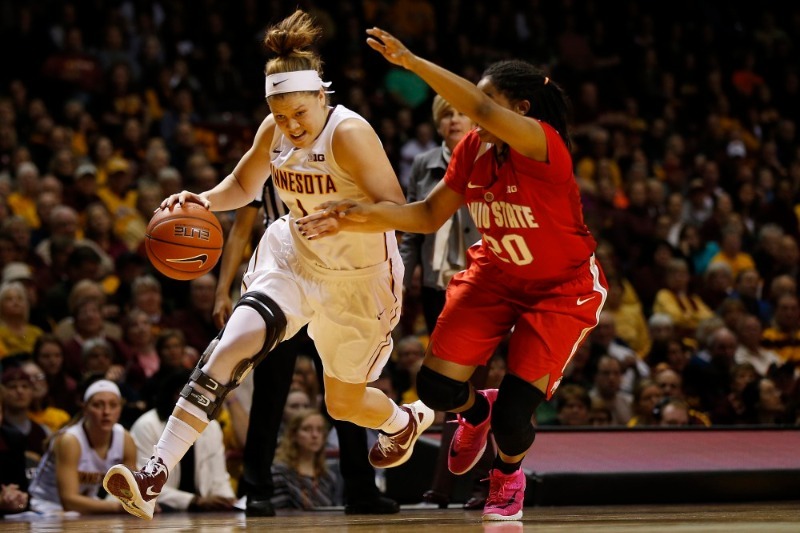 Monday – Battle of the Classes! 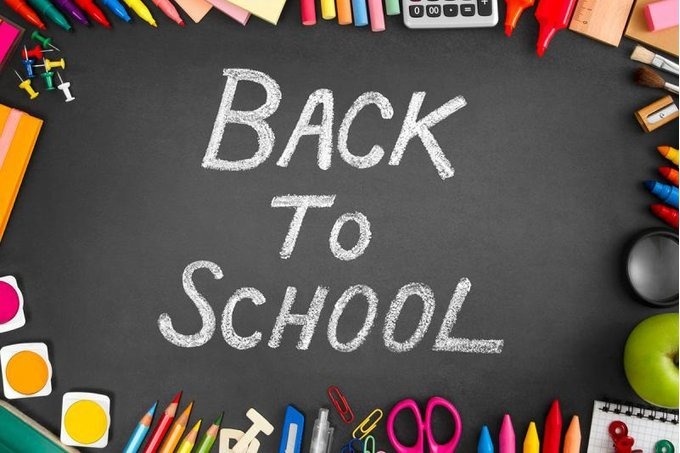 - 6th Graders wear RED; 7th Graders wear WHITE; 8th Graders wear BLACK. 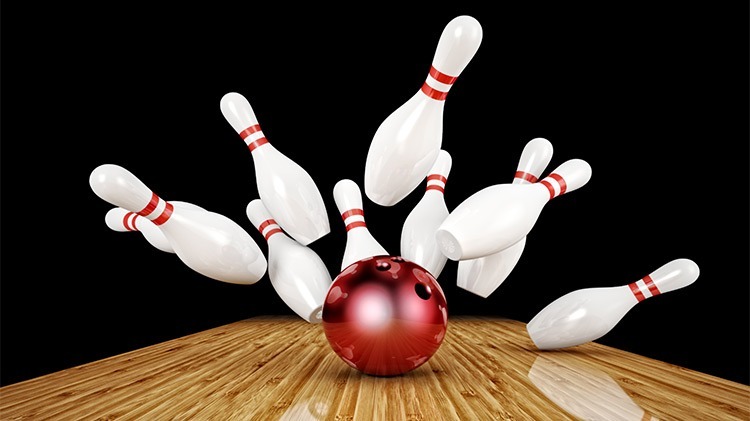 Tuesday – Decades Day! 20’s, 50’s, 60’s, 80’s. Wednesday – Family Portrait Day! 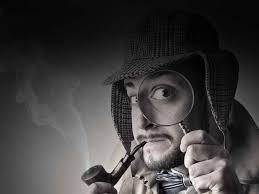 Thursday – Dress like a Teacher! Friday – Cycle Wars! 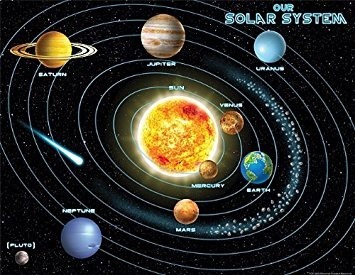 Each cycle chooses their own theme! 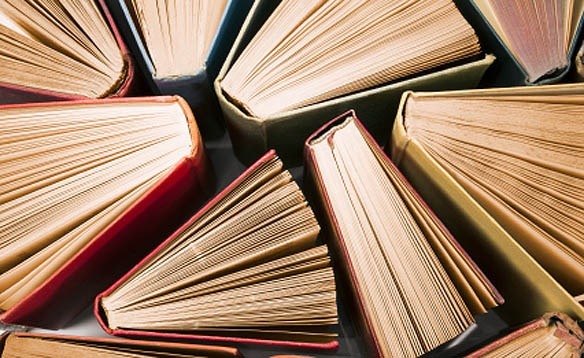 The annual 6th grade Summeread Booktalks, presented by the Teen Services Librarians from the Ocean County Library, will take place on Friday, May 19th in the Auditorium. 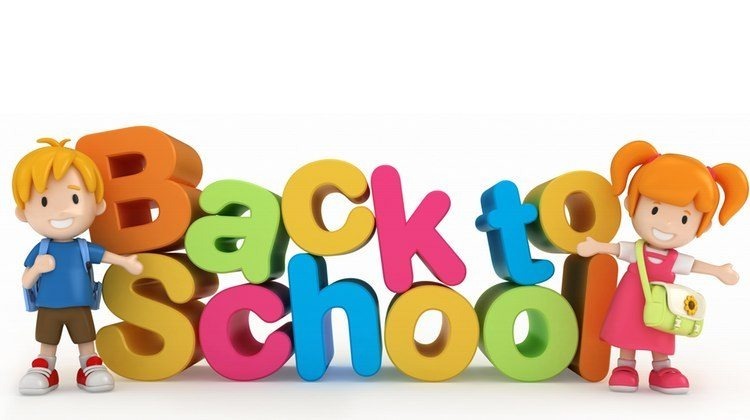 All sixth grade students and their teachers are to report to the Auditorium immediately after homeroom and announcements. This presentation should last about one hour. If you have any questions please see Ms. Byrne in the Media Center! The last day to place an online order for this year's full color yearbook is MAY 15th. The cost is $40. Visit: www.jostens.com today! Click "Read More" below. The 2017 Poetry Slam will take place on June 13th. Please submit all original poems to Ms. Shearer in room A111 by Wednesday, May 17th. You will be informed of acceptance by Thursday, June 1st. Interact Club is running a fundraiser for Operation Gratitude. Mrs. Neuhoff’s class will make cool ties with money raised. They will be sent to our troops to keep cool. 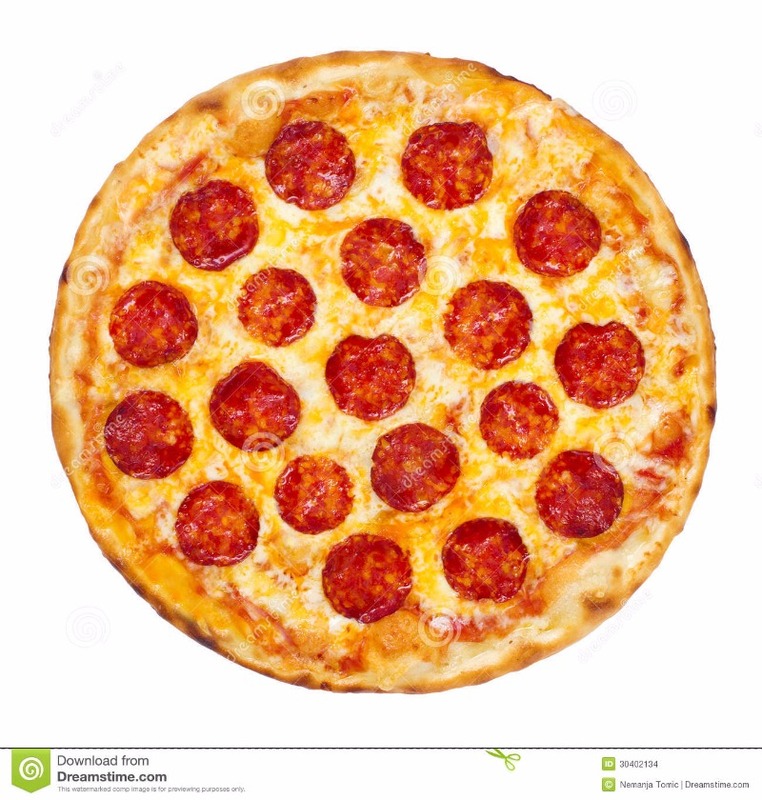 The homeroom who has the most donations by April 5th will earn a pizza party. 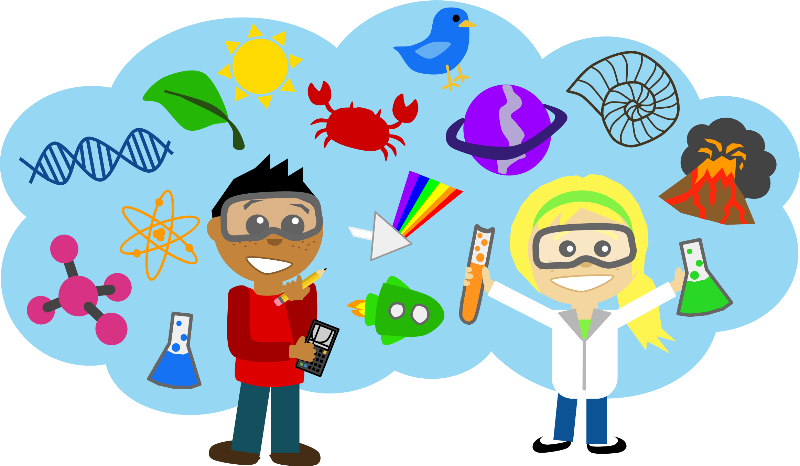 Congratulations to all students who attented the Jersey Shore Science Fair this past Saturday at Stocton University. You made Intermediate East proud. The following students received honors: Honorable Mentions - Rachel Campbell, Sphia Capilli, Nicolette DePalma, Allison Jackson, Lexi Pereira, and Julia Weppler. Amanda Mottola took home a 2nd place award and is now elligible to continue to the Delaware Valley Science Fair on April 5th. An artistic group of students from cycle 65 collaborated on creating miniature replicas of the soldiers out of authentic terra cotta clay. The miniature silent army in the showcase features soldiers with distinct facial features just as the original soldiers found in the Q'in Shi Huagndi's tomb. 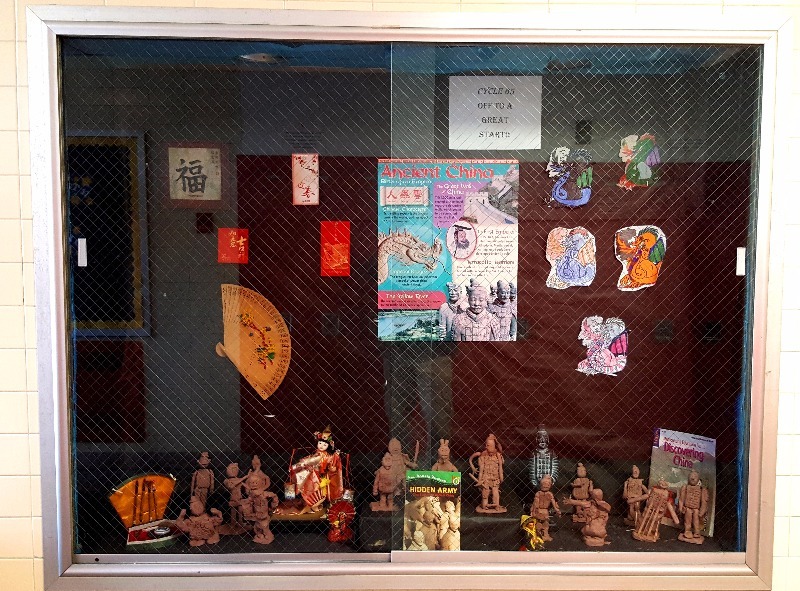 If you are not going to China anytime soon, stop by the showcase located in G-Wing to see cycle 65's terra cotta army. Students created menus for their favorite book read in class so far this year, chosen from Mrs. Malland's classroom library. 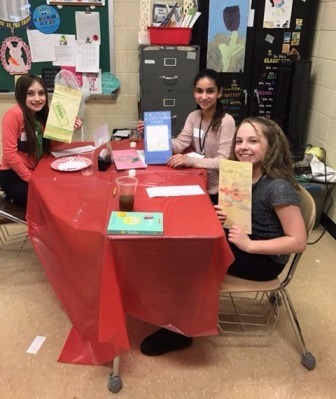 This activity was called "A Book Tasting," and the objective was for students to learn about new titles read by their peers for their future potential selection. They were able to view menus created by their peers from each genre table and then discuss components of their book with each other. During the activity, students "tasted" over twenty new books, giving them a chance to discover books from all different genres that interested them. When they finish their current independent reader, they can check out their new book choice from the classroom library. 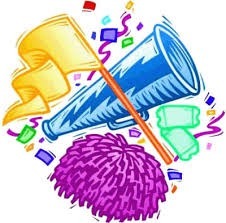 This Friday, March 10th there is a sports themed school dance for all grades. Students can have their hand stamped during lunches on Friday. Cost is $5.00. 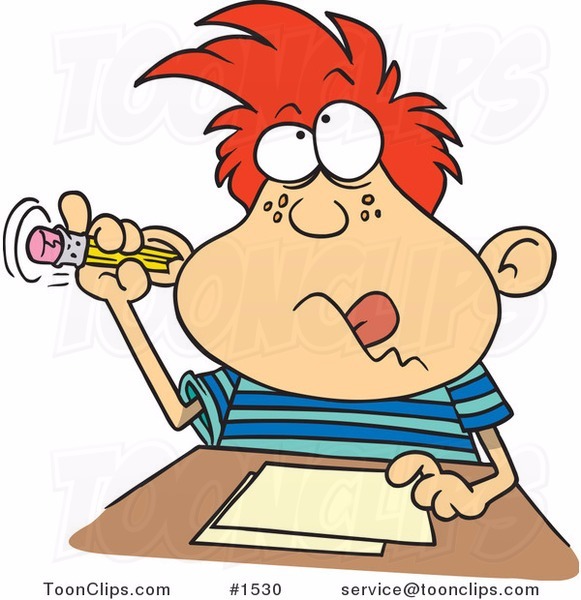 Click on the link below for the PARCC Testing schedule. Click on the link below for important PARCC information. Click on the link below for information. 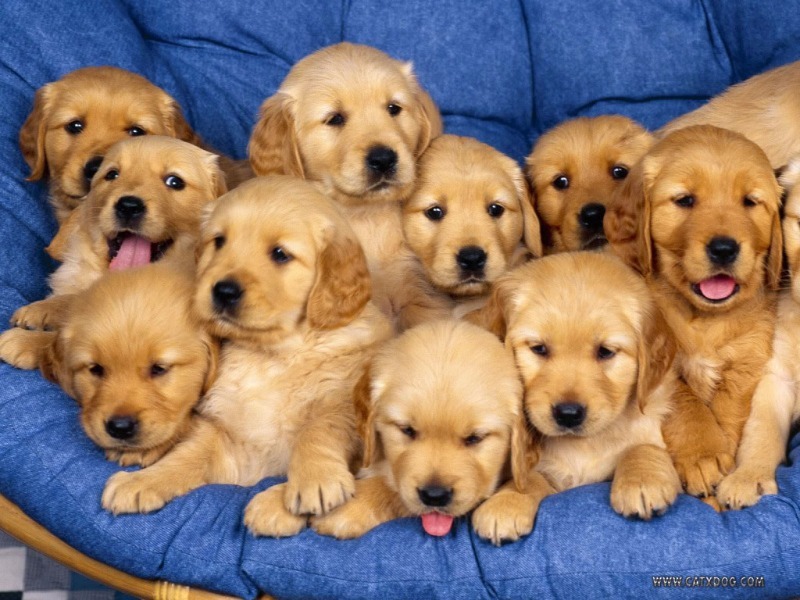 Your donations are greatly appreciated in order to help our local animal shelters! Look for flyers around school to see what is needed. 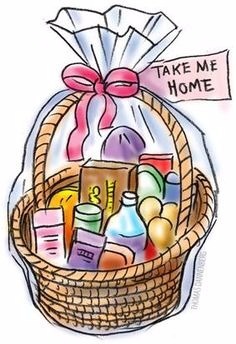 All donations can be delivered to Mrs. Boney in G211 by April 21st. Thank you. ATTENTION 8TH GRADE! THIS IS THE FINAL WEEK TO PLACE AN AD ORDER FOR THE YEARBOOK. TODAY IS THE VERY LAST DAY TO ORDER! Click link below. It's not too late to order this year's FULL COLOR yearbook! The cost is still $35 until FRIDAY, FEBRUARY 17th. Buy your yearbook today before the price goes up to $40 until the end of the school year. 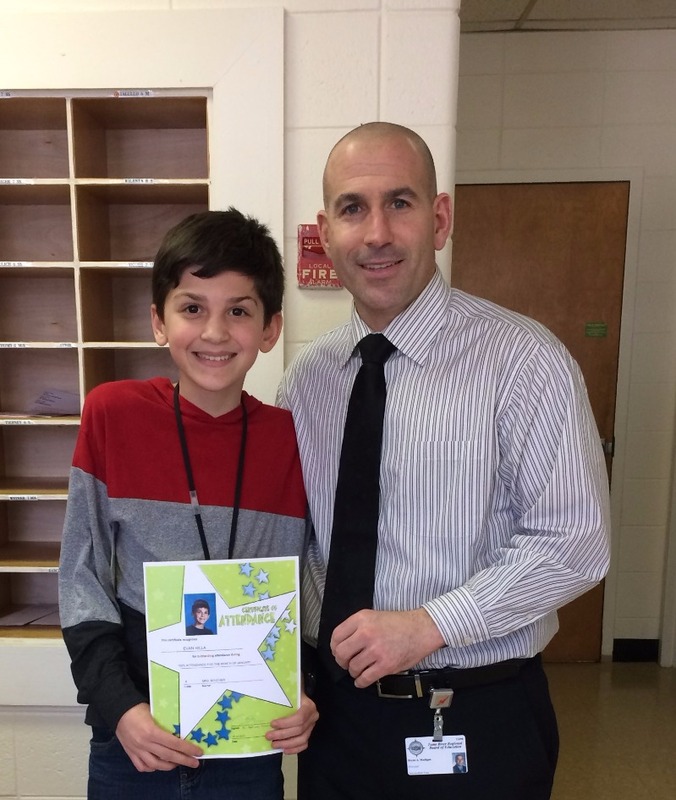 Congratulations to Evan Hilla from Mrs. Boucher’s homeroom for his 100% attendance for January. Buddy Pictures will be taken this year on Monday, February 27th in the Large Cafeteria and Tuesday, February 28th in the Small Cafeteria. The cost is $5 (cash) per picture for up to 6 people (6th person= $1 extra). Students, Nino Scala, Michael Miccio and Nick Taaffe from Mrs. Eastmond’s class are being assisted by Ms. Byrne, our Educational Services Professional of the year, on all phases of their research project about Medieval Europe. Students are learning proper research and citation for formatting and avoiding plagiarism. 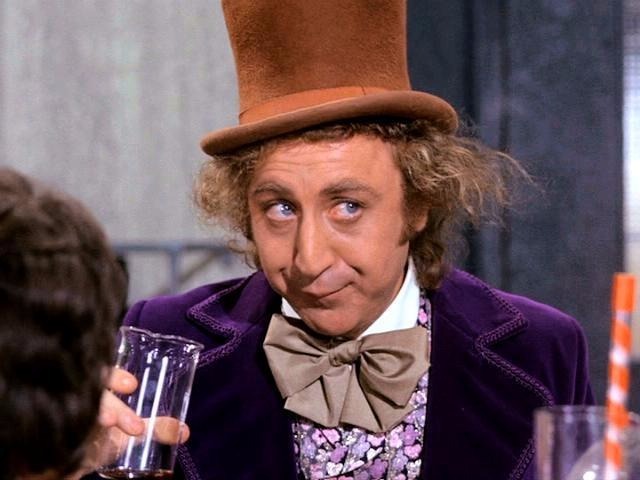 Willy Wonka and the Chocolate Factory evening performances will be held on Friday 2/24 and Saturday 2/25. 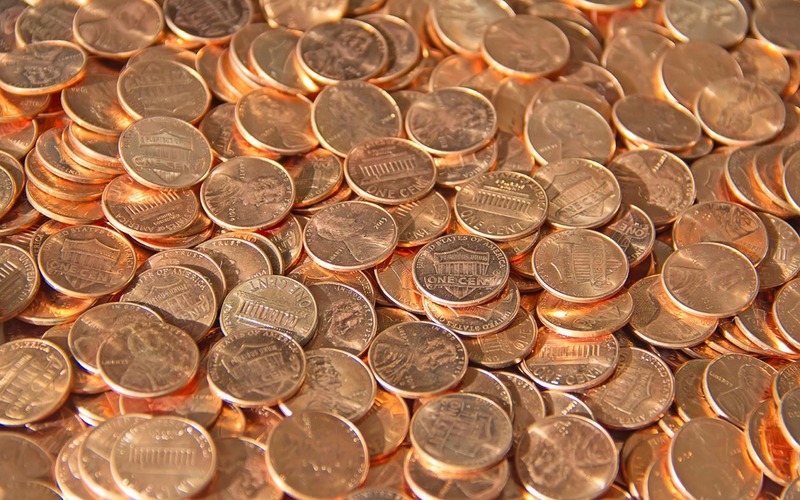 Interact is sponsoring a fundraiser for the Leukemia and Lymphoma Society called Pasta for Pennies. 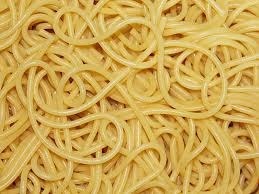 The Olive Garden will donate a pasta party for the homeroom that raises the most money. The fundraiser will take place this month. The money will be counted on January 30th. The homeroom winner will be announced on January 31st. 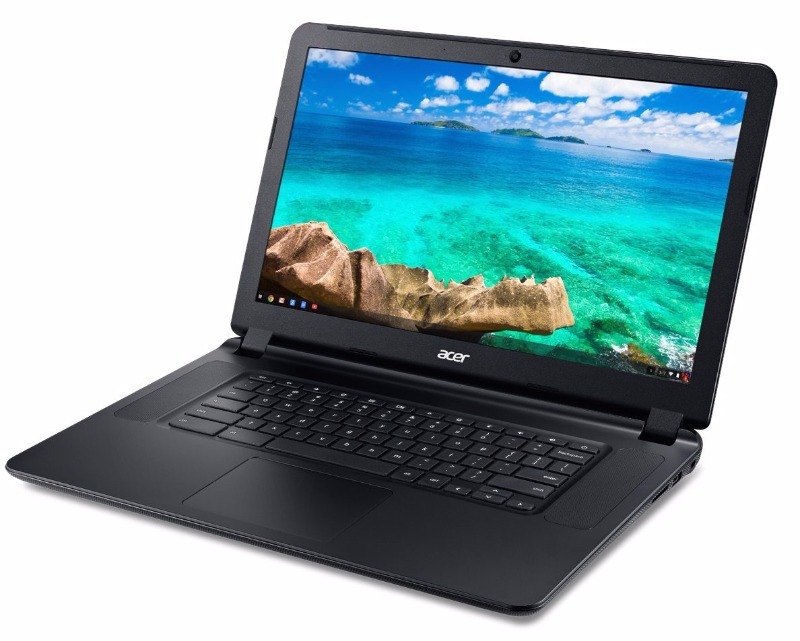 Congratulations to Courtney Russell for winning the chromebook that was raffled off by our PTO. 100% Club Attendance For November! Congratulations to Riley Adams from Ms. deRouville’s homeroom for her perfect attendance for November! 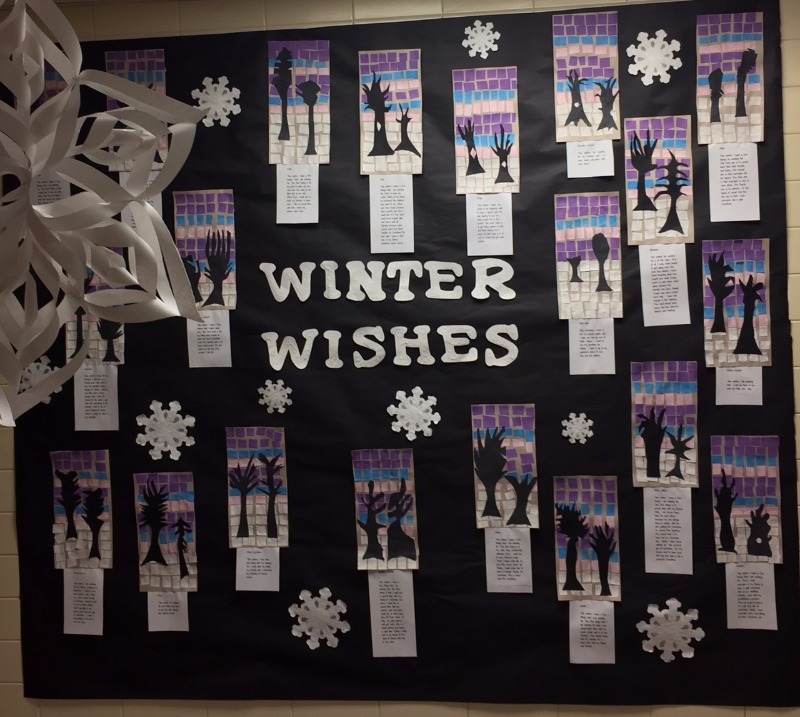 Cycle 66 created a multimedia project expressing their wishes for the winter holiday season. See our New Gym Floor! Thank you John Bisciotti and James Martone for a beautiful job on our Gym floor. Click below to see a photo. 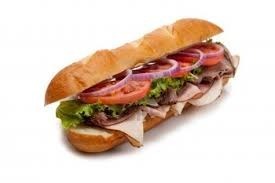 The PTO is having a Jersey Mikes (Hooper Ave., Silverton) fundraiser on Wednesday, December 7th. 20% of the proceeds will be donated to the PTO. Please help support the PTO! You do not need to bring a flyer. Yearbooks are on sale in full color for the very first time!! The deadline for ordering is February 16, 2017. The price is $35.00 Click "Learn More" to order.